Many people love the little Funko Pop! statues what are perhaps even cuter are the Mini Pop! figures. These figures come in a mystery box where you have to buy them blind. Funko has just come out with its 2nd series of these figures. The new Funko Pop Dancing Baby Groot Toy! IT focused heavily on Daryl and Meryl from a surviror stand point. Other highlights in this series were the two versions of the zombies that glow in the dark. Series 2 will have the Survivors: Rick, Karl, Daryl and Michonne. 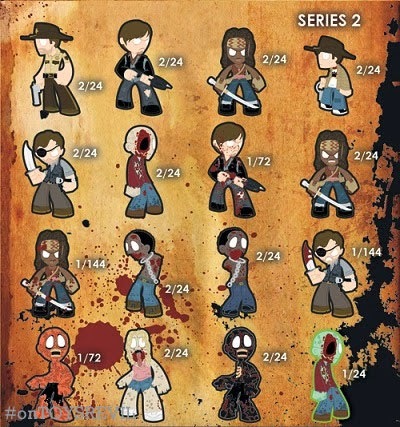 I would say Michonne seems to be the main focus of this series. Not only can you get Michnonne but you get her two zombie helpers as well to create a kind of ultimate Michonne. My guess is many are going to try to collect all of them so they can pull that together.